Happy Friday my friends. This week has quickly passed by – with just one more day to go! I have one last handmade ornament to share today and they are so easy – you could even add them to your to-do before the holiday arrives. 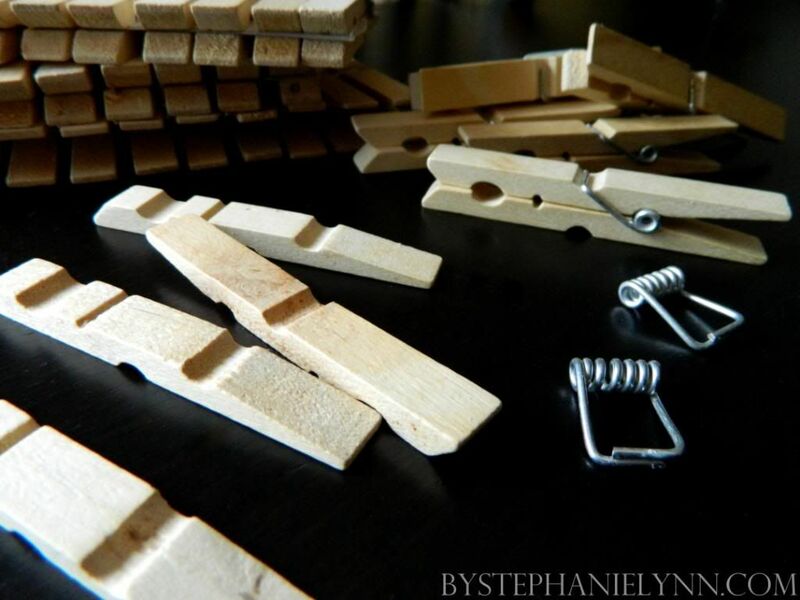 Begin by taking apart 8 wooden clothespins. The wooden slats easily slide right out of the metal spring with a little maneuvering. 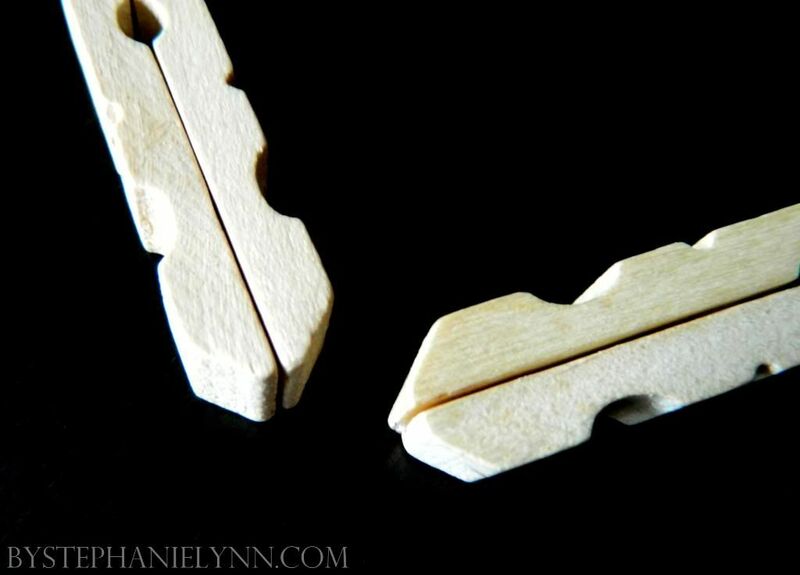 Each clothespin will give you two wooden pieces – simply align the flat sides of these two pieces and hot glue together. 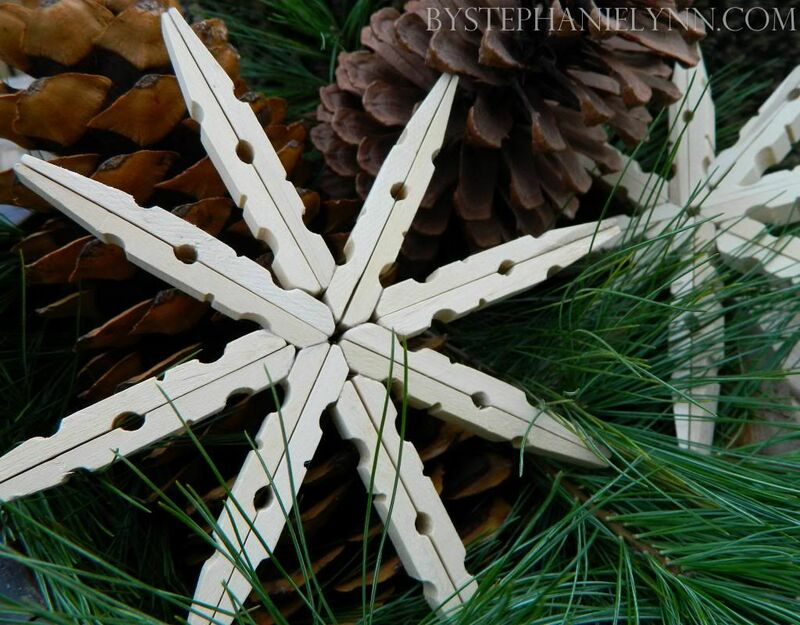 To start the snowflake shape, take two of the ‘glued’ pieces and hot glue them together along the small angle end, as shown above. 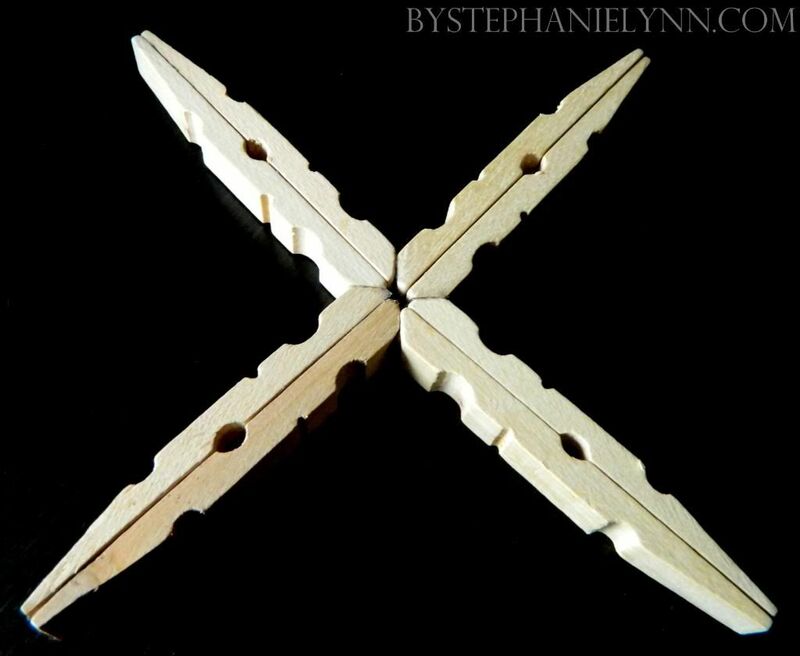 Continue with two more ‘glued’ pieces until you have an “x” shape. Insert the remaining four ‘glued’ pieces into each corner and secure with more hot glue. 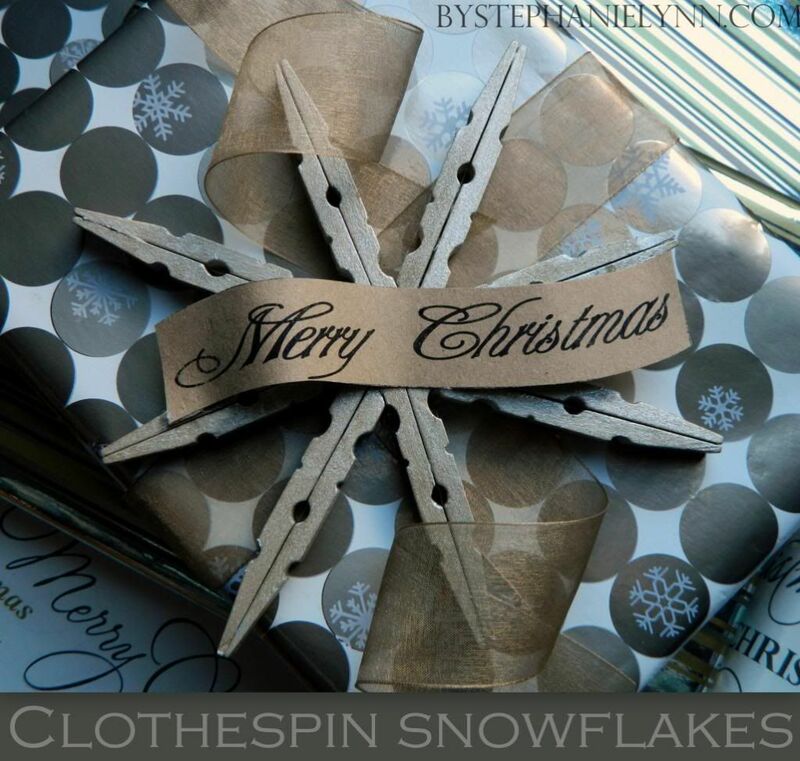 Your snowflake is complete and ready to embellish. Since these are made of wood they can be embellished a number of different ways – though I think they are even pretty left plain and natural. I used a couple as gift toppers this year since it went along with one of the gift wrap patterns. 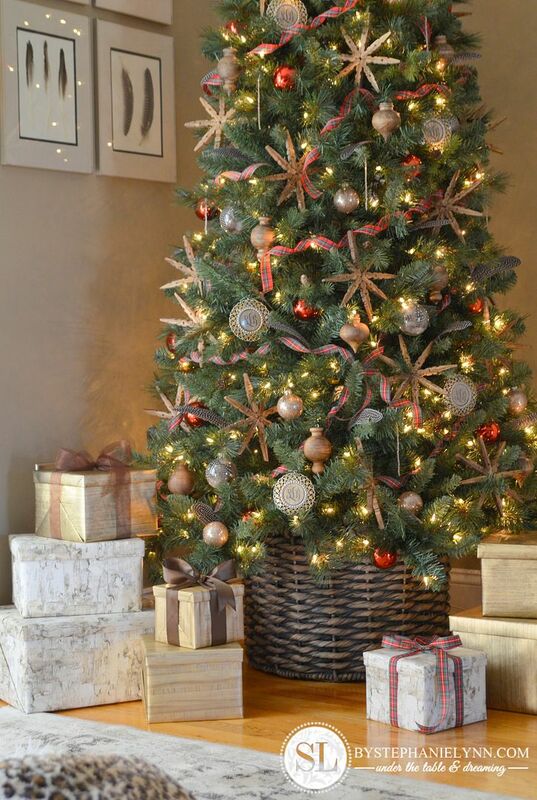 To see them used as ornaments on a tree check out our 2013 Michaels Dream Tree Challenge Project. Have a fabulous day ~ Enjoy! 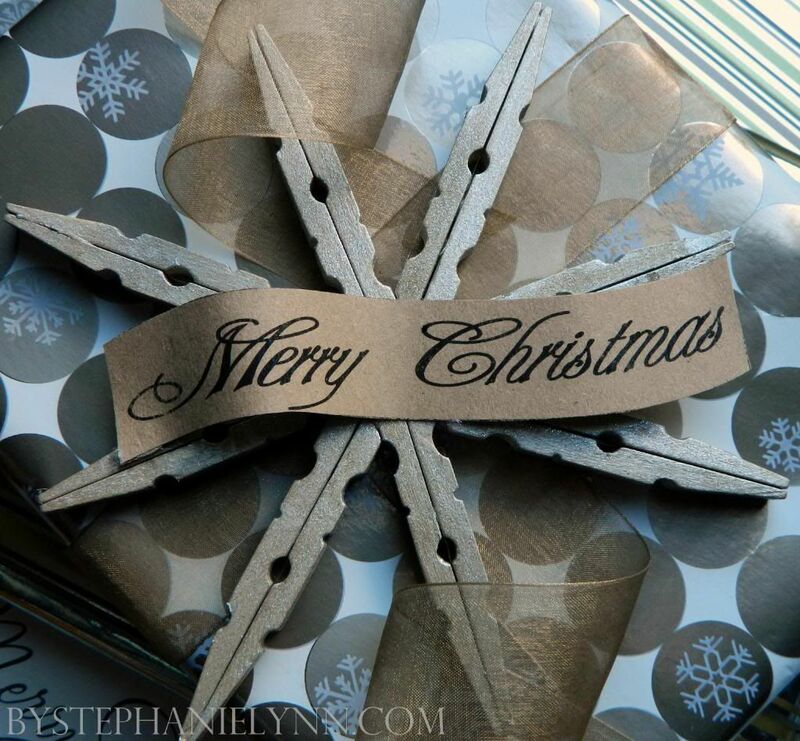 These look so easy to make…my kind of ornament! I love these! 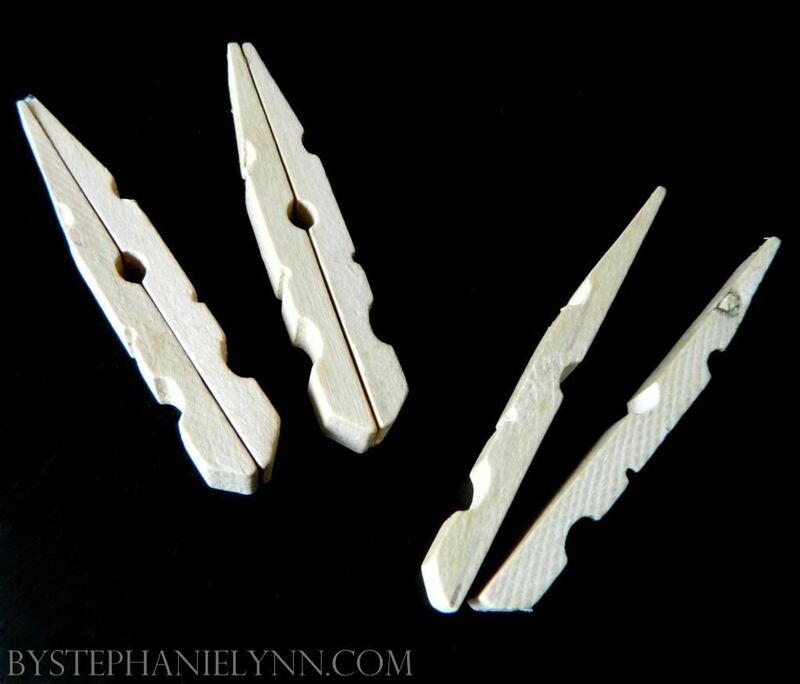 Definitely want to try for next year as I always have these clothespins on hand. Thanks for sharing. We lost our mother in 1994 and I got her clothespin bag. After all this time here is a beautiful way to give my siblings something from “Mom” on Christmas Day. Thank You for sharing. Oh My Gosh, I love these!!! I think I am going to make some as soon as Christmas is over so that I will have them for the next year. Did you see on HGTV, on Color Splash Christmas the closepin artist? He made amazing things all with closepins. Thanks so much for sharing this great idea. Something I can make with the grands. How ingenious! 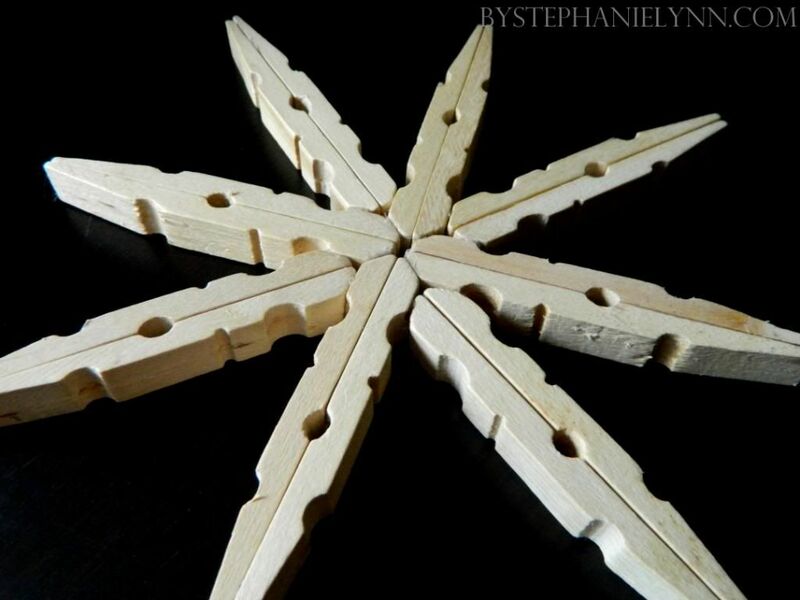 I love snowflakes, so I am going to have to make these!! Merry Christmas to you Stephanie!! These are just too adorable. I can’t wait to try these. Thanks, Stephanie! They are adorable. 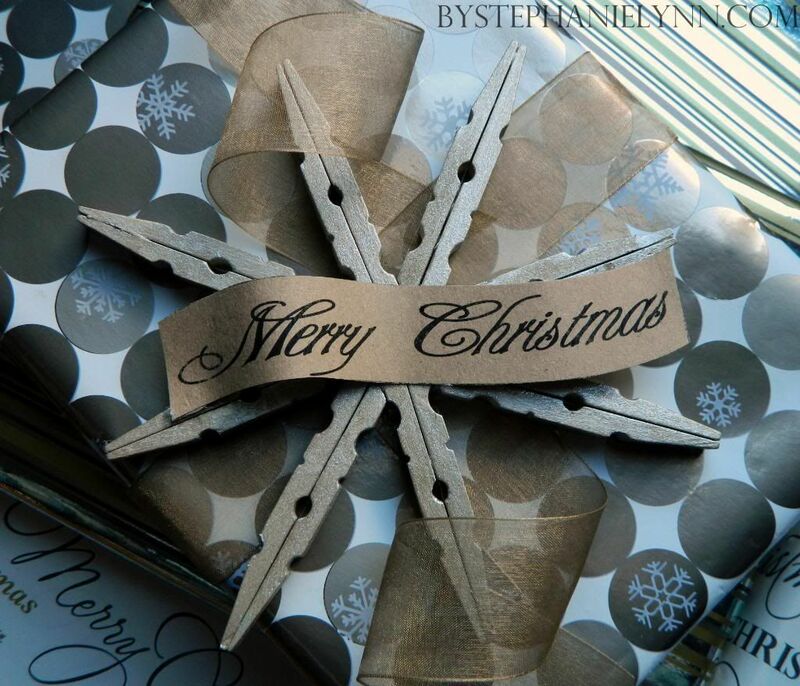 Would you mind telling us what font you used for the little Merry Christmas banner? I’m going to look for the paint tomorrow! So clever and adorable! Thanks for sharing your creativity! These would make great trivets too!!!! What kind of glue did you use? I used a hot glue gun and had a horrible time getting them to stick together. Hi Alana, I used a regular hot glue gun on the snowflakes and they have all held up really well. I still have the ones that were made a few years ago. The glue sticks were high temp – but I’m not sure that makes any difference. If the glue you are using is not working – you may want to try and scuff the surface of the clothespin a little with sandpaper – prior to gluing. 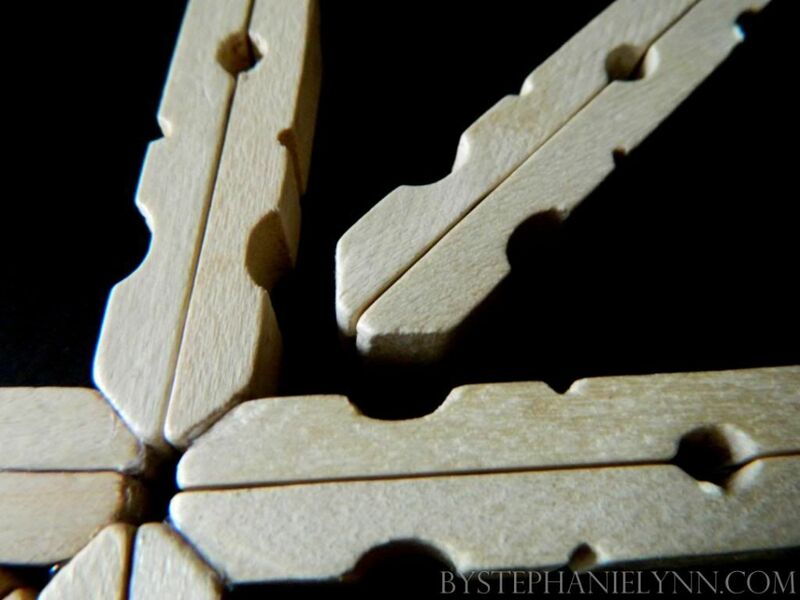 The only thing I can think of is that there may be some sort of clear coating on the clothespin preventing the glue from adhering properly.